Houston’s Eldridge Place complex is among the properties facing storm damage in the Energy Corridor. HOUSTON – Office buildings in Energy Corridor district of west Houston have been facing high water in the aftermath Hurricane Harvey. Many streets in the Energy Corridor are flooded and evaluation of property damages are not complete. 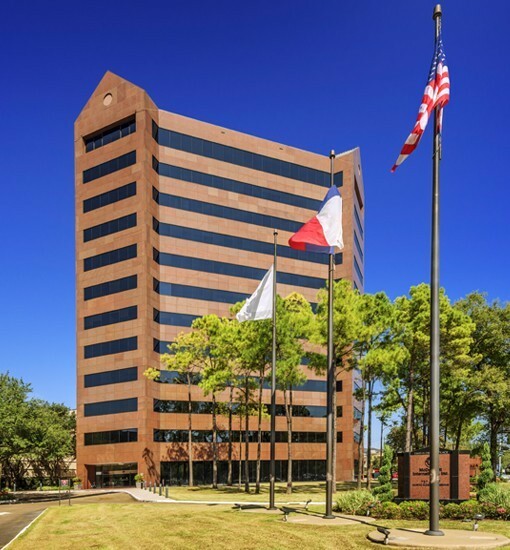 Eldridge Place, a three-building, 825,000-SF office complex at the southwest corner of Memorial Drive and N. Eldridge Parkway in the Energy Corridor, has flood damage, according to TIER REIT, which owns the property. “The company’s BriarLake Plaza and Loop Central properties have not experienced any damage from the storm and are currently open and fully operational, while the company’s Eldridge Place property has been exposed to rising flood waters this past week in the Energy Corridor and has experienced flood-related damage,” the Dallas-based firm said in a news release. Eldridge Place, located just south of Interstate 10, is located near the Addicks and Barker reservoirs, which are designed to empty overflow into Buffalo Bayou. Eldridge Place is located near the BP campus and Skanska’s West Memorial Place project.